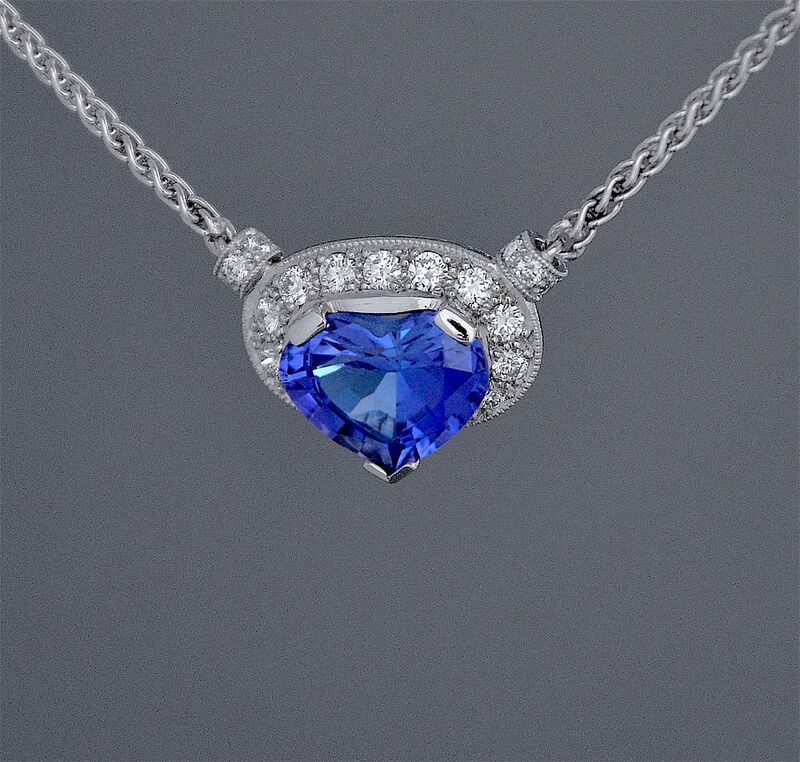 This superb necklace has in its centre a heart shaped tanzanite cut by Alan from the rough material. The tanzanite is set in a mille-grained platinum setting into which round diamonds have been grain set to form a frame around the top of the tanzanite. On each side of the frame is a round platinum diamond set housing into which an 18ct white gold spiga chain has been fixed. Hallmarked by the London Assay Office for 2017, platinum and with the sponsor's mark "A&SP" for Alan & Sue Poultney.